THE HIGH LINE, Manhattan (WABC) -- The group behind Manhattan's High Line is recruiting visitors to help stop aggressive panhandling by people dressed as monks. The Friends of the High Line said it is just as frustrated as visitors are with regard to the panhandlers. 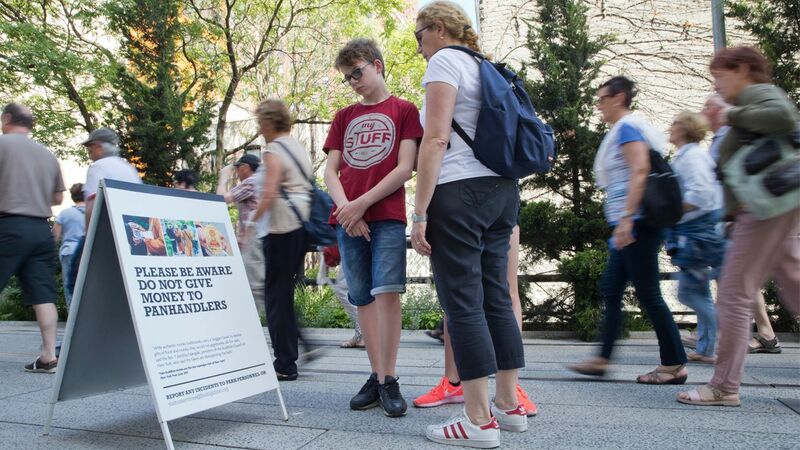 "While panhandling itself is legal in New York City-and therefore legal along the High Line-it crosses the line when our trusting park visitors are touched or their paths are blocked," the organization posted on its website. ME (to a pushy high line monk approaching me WHILE I'M EATING): No! Stay FAR away from me. Some people have even posted their own warnings. Darren Fiorello wrote, "Don't take junk from the monk." One person came up with her own theory on the people who talk with the panhandlers. Do you think there's some truth to it? Every second a person spends talking to a monk on the High Line equals 50 miles of distance between their home and NY.